Once in a while a teacher in our lives got it right. I had one such teacher in second grade. I remember a lot from that year. I remember getting to bring a teddy bear to school each week. I remember crying over division and my teacher comforting me. I remember learning money and the demonstrations she did. And I remember the special week when we got to bring home the class teddy bear and journal our adventures with him. I remember taking the bear with me to my sisters high school softball game and writing all about it. I think somewhere during that year, seeds were planted in me that lasted forever. One of which was a love for writing. Journaling with my kids is another story. I have never required it of them. In fact, classical educationists kind of frown upon journaling with its encouragement of incorrect sentence structure and inventive spelling. Original writing can even stress some kids out, trying to focus on the mechanics of writing along with original sentences. We are more the copywork/narration/dictation folk. But every once in awhile...we leap out of the box. Yes, leap. I never was one do something small. We are gearing up for a year long journaling project...idea courtesy of my own second grade year. 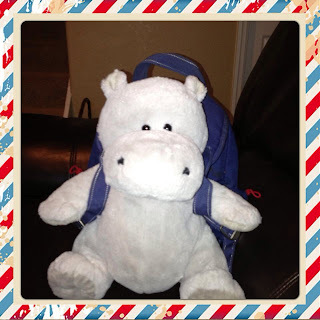 The idea behind Road Trip Journaling is that Hugh the Hippo and his backpack filled with his very own journal will travel to our friends across the United States and each child who Hugh visits will get to keep him for a week and fill the journal with all of their adventures, hopefully a few pictures, and maybe even a postcard! 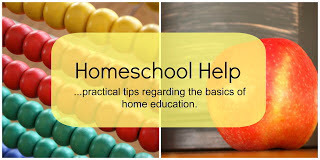 One of the added bonuses is that this project can involve children who are homeschooled or who school outside of the home. At the end of the adventure Hugh will journey home with his journal bursting of all his adventures! Upon his return we plan to scan each of the pages and make a memory book for each child that participated. We are very excited to get started on our first journaling adventure!!! I hope we are able to make an enormous amount of wonderful memories for the many kids who meet Hugh and share on his journey! 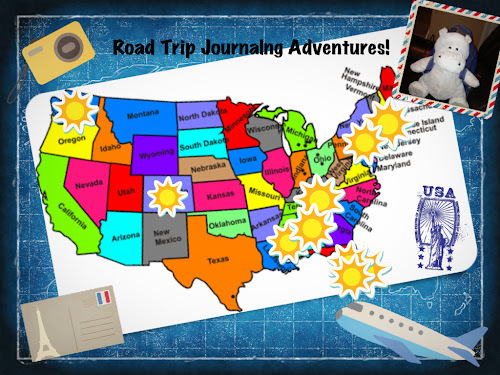 A fun way to engage our kids, get them writing, meet new friends, and maybe learn some geography along the way! Maybe you have a friend at your house eager to go on an adventure? 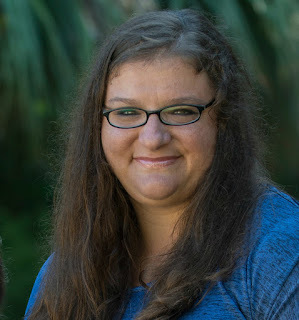 Don't forget to check out what the other Homeschool Help Series bloggers have to say about Journaling! oh what fun! Can we blog about having him in our home? I am thinking we should do this! What a great leap, Nicole! :-) That second grade teacher sounds wonderful. I remember my daughter brought home "Travelling Ted" for the weekend from pre-school. He came with a cute little book in which we attached photos and tales of Ted's adventures that weekend. So much fun. I'm looking forward to hearing more about Hugh's travels!